One of the biggest concerns that aspiring homeowners have is how much they can realistically afford. You never want to get so in over your head that you are unable to make your monthly minimum payment. However, there are many aspects of a home loan that must be taken into consideration when estimating your mortgage. The goal should be to have a payment that leaves a little cash leftover each month to make any necessary repairs or updates. 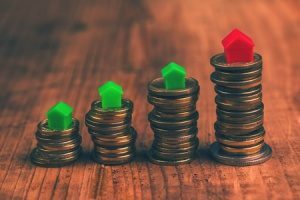 If you are in the market for a home mortgage, here is how to determine how much you may qualify for with a mortgage broker. Qualifying for a mortgage is no small feat. Lenders take a wide range of information into consideration when determining if an applicant is eligible for a home loan, and if so, how much. It is always a wise idea to find out how much home you can comfortably afford before you start to look at properties. Mortgage requirements are constantly changing so be sure to keep up-to-date with qualifications. However, most lenders look for a few specific things, such as amount of down payment, credit score, debt-to-income ratios, qualifying income, and whether or not the applicant has an eligible co-signer. Lenders often prefer for borrowers to put down a larger down payment is it lessens the amount of risk. However, while 20 percent used to be the norm, many modern mortgages require a lower down payment or no down payment at all. For example, FHA home loans are one of the most popular types of mortgages due to their flexible requirements. An FHA loan requires just 3.5 percent down in most cases. Under an FHA loan, borrowers also have the option of using gift funds for the down payment. 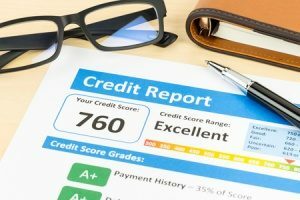 Credit scores typically fall into one of four ranges: poor, fair, good, or excellent. Your credit score is one of the biggest factors when determining your overall creditworthiness. If you have good or excellent credit, you probably have nothing to worry about. If your credit is less-than-ideal, it may be more difficult to get approved for a home loan. To boost your chances of qualifying for a loan, you want a credit score of 680 or higher. However, some lenders do accept scores of 640 or even lower for sub-prime mortgages. Having regular income is important as it shows the lender you are able to hold down a job and will have the means to make monthly payments. Your income amount should also be sufficient to the amount you are looking to borrow. If you receive a salary or are employed in the traditional sense, you will need to provide proof of income through W2s. However, if you are self-employed or work a commission-based job, you will need to provide at least two years of tax returns. Qualifying income also includes income from a second job or seasonal job, as well as any bonuses or overtime you receive. Your debt-to-income ratio will also be analyzed to determine how much you have left after paying financial obligations. Most mortgage lenders require that your monthly debt be no more than 36 percent of your gross monthly income. When calculating your total monthly debt, you will need to include car loans, credit card bills, student loans, and similar debts. The lender will also add in the cost of the estimated mortgage payment to determine your ability to pay. Remember that your mortgage payment may also include other costs, such as property insurance and taxes. Having a co-signer with good credit and sufficient income can help you qualify for a mortgage if you are not eligible based on your information alone. A co-signer is a person who puts their name on the mortgage as a guarantee that if the primary borrower defaults on the loan, the debt will still be paid. While co-signers are more commonly used for smaller loans, such as car loans, they are still applicable for mortgages. As home loan lenders have tightened their credit guidelines, many borrowers find it easier to get approved for a mortgage with the help of a co-signer. Once all of the previous information has been taken into consideration, the lender will determine if you qualify and how much you could potentially receive towards a home. To determine how much you could potentially qualify for, add up any income you bring home every month. This should only include your take-home pay. Next, multiple your monthly take-home pay by 25 percent to get your maximum mortgage payment. For example, if you bring home $6,000 a month, then your monthly house payment should be no more than $1,500. You will also want to consider other costs when creating a budget. Be sure to factor in the amount of your down payment and any closing costs. You will also want to keep a buffer for insurance and taxes of around 25 percent. These costs; however, are often included in your monthly payment. You may also need to include other costs depending on where you live, such as homeownership fees, moving costs, and similar expenses. If you are not sure how much you can afford, schedule time to talk to an experienced mortgage broker who can help you determine how much you may qualify for. If you are ready to shop around for mortgages, make your first stop to see a mortgage broker. A mortgage broker acts as a middle man between the lender and the borrower, helping aspiring homeowners compare rates and find the best loan products for them. Navigating a mortgage on your own can be tough. Mortgage lenders help to streamline the process by providing sufficient information, tools, and resources to ensure that you are getting the best deal possible. Have more mortgage-related questions? Contact your local mortgage broker to see how much of a home loan you could qualify for.